Traditional medicine includes a variety of different techniques ranging from acupuncture to herbal remedies. In the case of herbal remedies a number of different options exist and it can be difficult to pinpoint the exact herb that you need. With so many different herbal teas available and each offering different benefits, you’ll need at least a small bit of knowledge in order to select the herb you need. One that may surprise you, both with its very existence and with the variety of different health benefits it can deliver, is hops tea. Brewed with the hop flowers, this tea can help you in numerous ways. While predominately known for – and used for – giving beer its distinctive flavor, hops are also used in herbal remedies since they contain numerous beneficial compounds like tannins, flavonoids, lupulone, and much more. These various compounds have been shown to provide a number of benefits to overall health including increased immune system strength. The flowering buds of the hop plant create a tea that is rich in all of these compounds and can also help with a variety of different medical issues. This versatile tea has a great number of benefits may very well surprise you. There are a number of different uses that are associated with drinking hops tea. Among the most well-known is the tea’s ability to help you rest and sleep better. Some users report that it has successfully helped in calming their nerves, relieving stress, relaxing anxiety, and combating insomnia. The calming effects of this tea can help relieve feelings of depression and ease tension as well. Drinking this tea before bed is a great way to encourage a calm mind and allow for a soothing, more relaxing sleep. There is also some evidence that suggest that this herbal tea can help relieve constipation and act as a diuretic, helping to flush the system of toxins and waste. Through this manner of action it can also help ease bladder pain and bladder problems, even assisting in bladder infections. Hops tea can aid with digestion by stimulating the production of stomach acid to help break food down. Since hops tea has properties that allow it to work as an anti-spasmodic, it can be a good solution for problems related to irritable bowel syndrome as well. Hops tea is also great to use externally as well. By applying it to a cloth you can use it for the antiseptic qualities it offers. It can be applied to minor cuts, scrapes, burns, and bug bites to help relieve pain, speed healing, and prevent infection. It can be also used externally to ease pain that is related to arthritis as well. Other external uses for this tea are aid with rheumatism, warts, bruises, boils, and it can even offer help by reducing inflammation. Preparation: To prepare a cup of hops tea simply take one hops tea bag and steep it in a cup of hot water for a period of 5 to 8 minutes. Sugar, honey, or lemon can be added for taste if desired. Drink one cup up to three times a day, as needed. To avoid unwanted side effects and interactions, it is not advised to drink this herbal tea if you are currently pregnant or if you are taking any prescription medications. The hops plant is far more than simply a flavoring for beer. As it is more commonly used as a tea, this adaptable plant is quickly proving itself as useful for a great number of ailments. Continuous research is constantly digging up even further benefits that herbal remedies like hops tea have to offer to those that drink it. If you are interested in using hops tea it is most commonly found sitting in the tea sections of local health food stores. 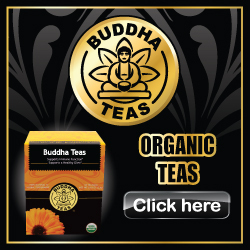 For those that are looking for a more convenient alternative however, reliable online merchants like Buddha Teas offer hops tea in a pure, organic form. Buddha Teas also offers all teas packaged in safe, bleach-free tea bags. This will assure the absence of harmful toxins and chemicals that can be present in other brands of tea. We truly hope that you have found this article to be enlightening and proficient enough to answer any questions that you may have had in regards to hops tea. However, if you still have further inquiries regarding this herbal remedy, please do not hesitate to contact us and we will be happy to help.